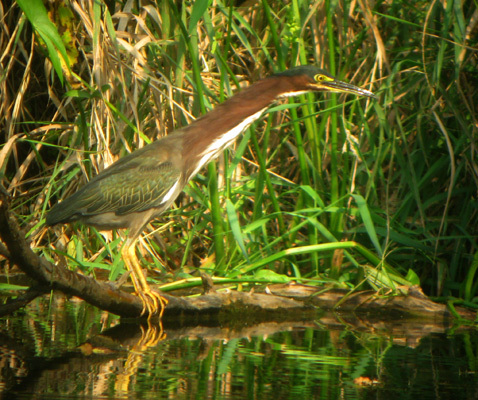 Green Heron with large bullfrog! 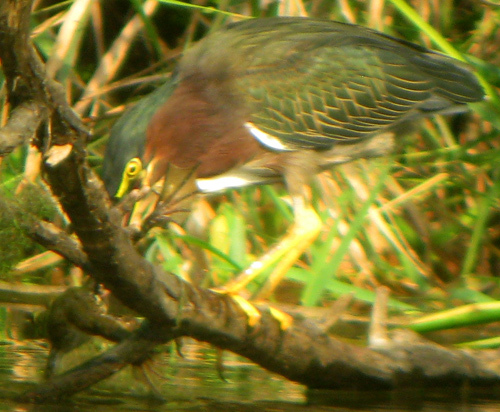 The heron was almost completely submerged while grabbing this frog, then jumped back up onto the perch. The frog was released, maybe too large (or awkward?) 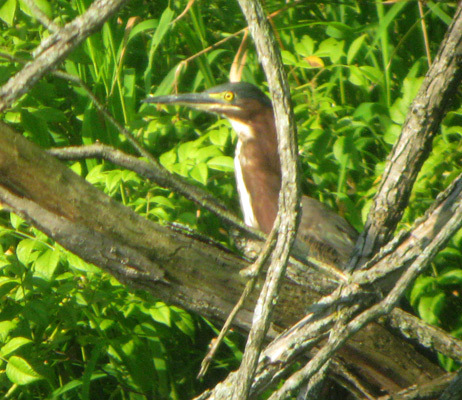 for the heron to swallow.